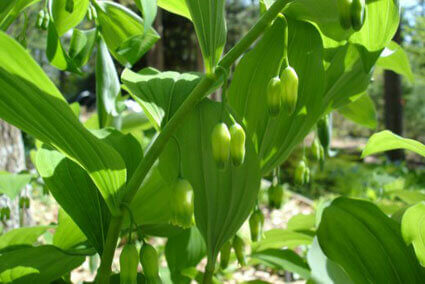 Solomons Seal is a genius of about 50 species of flowering plants. 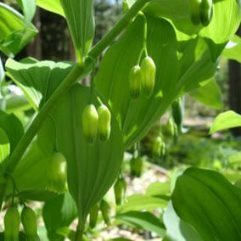 It is native to North America. 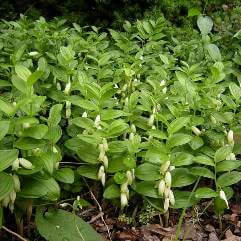 The stems are thin and arch over due to the weight of the leaves, which are either green or white tipped. A small white flower hangs underneath. 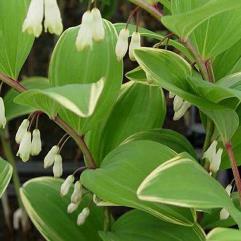 A perfect shade or woodland plant.